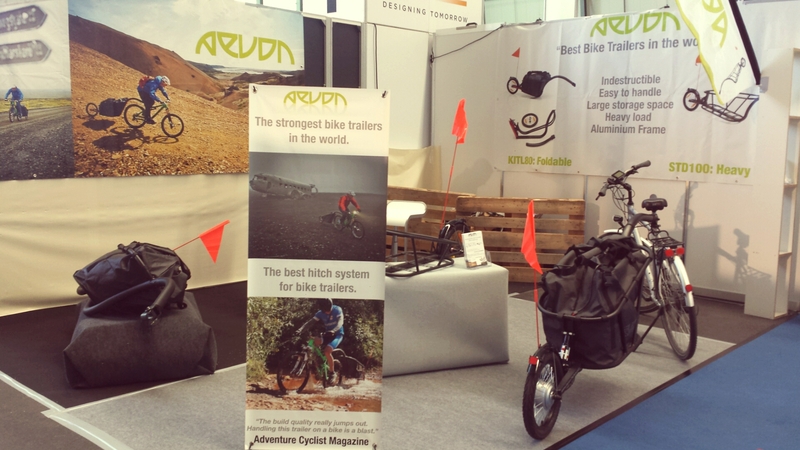 You were a lot to visit us at the Eurobike, in Friedrichshafen this year. The Eurobike is the biggest bike exhibition in Europe. The electric bike trailer is the combination of the STD 100, able to carry up to 145l, the motor (from 250w to 1000w) and the battery (36v to 48v). The UNO 100 (road trailer) and the KIT L80 (foldable trailer) can also accept a motor, up to 250w. You doubt the performances of the electric trailer ? Come and meet us in Bordeaux or at the Eurobike next year.